Despite the fiery rhetoric, the softwood trade dispute is “much ado about nothing“, according to David Milstead (Globe and Mail), due to the exceptionally strong US housing market where Canadian producers can recoup the tariff from their customers and US builders can pass the cost on to the home buyer. In related news, Bruce Yandle (Washington Examiner), says it’s obvious that Trump’s trade policy is “stiff-arming consumers” as well as benefiting Canadian producers with US operations. Other headlines include: covering-up the caribou loss in Canada; putting out practice-fires in Oregon; making CLT fireproof in California; and growing black walnut trees as cash-crops in PEI. Finally, an expose on Hong Kong’s timber-trafficking problem, including the species involved, the routes used and the enforcement challenge. Over the last 12 years, Canfor has grown its presence in the southern US with several acquisitions of companies with high quality operations and incredible talent. It’s been an exciting time of growth, modernization and innovation. Not only are we expanding our products and markets, but we are also bringing together the unique knowledge and expertise from several companies. With operations in the Carolinas, Alabama, Georgia, Arkansas and Mississippi, each location has a rich history and deep roots in both their communities and the industry. We know it will take time for us to be as well-known in the southern US as we are in Canada, where we have a solid reputation as a top employer and community partner. When you watch this video, you will see why we believe it’s only a matter of time before Canfor establishes the same reputation in the Southern US. In the rhetorical battles that accompany a trade war, each tariff and retaliatory duty is an economy-wrecking job killer… In the case of the softwood-lumber tariff, an exceptionally strong U.S. housing market has created a different set of truths. Canadian lumber producers seem to have recouped the entirety of the tariff from their customers, U.S. builders that have in turn passed along the costs to the American home buyer. And because of the small amount of lumber in the typical U.S. house, the end impact is not nearly as punishing as the U.S. home-building industry claims. For now, in this environment, the economics suggest the lumber tariffs are much ado about not much at all. …Jerry Howard, the CEO of the National Association of Home Builders.“This whole situation being fuelled by greedy lumber companies… They are behaving almost like a cartel. … “I’m not really sure how us having tariffs applied to us by the U.S. industry results in us working with them,” says Susan Yurkovich, president of the British Columbia Lumber Trade Council. Trump administration tariff announcements, threats, and revisions are popping off daily, and some 21,000 U.S. firms are seeking exemptions from the newly imposed steel and aluminum tariffs. 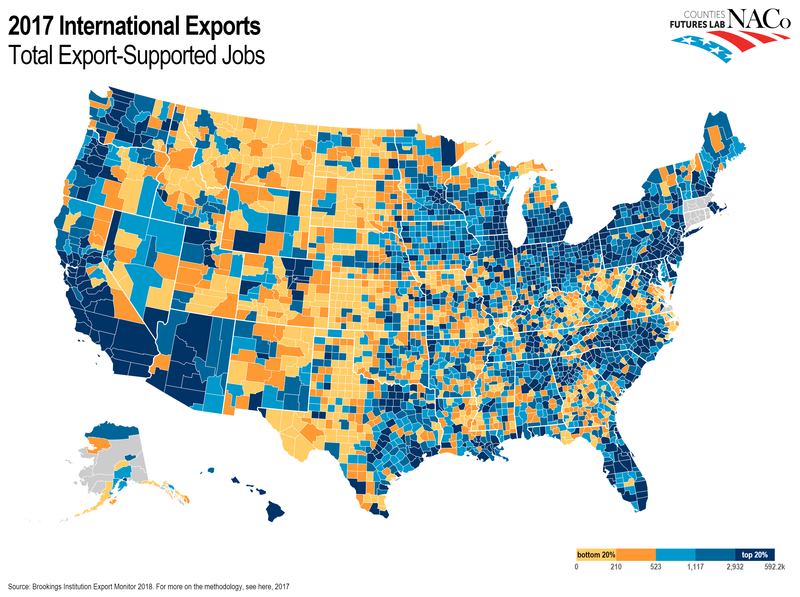 It’s painfully obvious that playing games with trade policy is hurting workers in affected industries and stiff-arming consumers who ultimately must pay higher, tariff-induced prices on goods and services. …Nothing is simple in all of this. For example, the newly imposed tariffs on Canadian timber products, done in the spirit of “making America great again,” are credited with raising U.S. lumber prices by 20 percent. It turns out that one of the largest timber product producers in the United States is owned by Interfor Forest, which is — you guessed it — a Canadian firm. At least a few Canadians stand to make out like bandits from a back-breaking tariff on Canadian lumber. A new joint venture agreement between Nakina Lumber and the Agoke Lumber Limited Partnership is working to get the Nakina dimensional lumber mill restarted, with a goal of employing a workforce comprised of 75 per cent Indigenous workers. The Agoke Lumber Limited Partnership is comprised of the Aroland, Eabametoongand Marten Falls First Nations. Described as “groundbreaking,” the agreement sets out a framework for current and future business opportunities in the forestry industry. …The agreement outlines details on revenue-sharing, saw mill equity options and first right of refusal for contracts for the construction of forestry roads; log harvesting and delivery; and exploring biomass and biofuel energy-generating opportunities. The Nakina sawmill is expected to create 150 new jobs and another 150 woodland operation jobs, in addition to indirect employment. Hong Kong has a timber-trafficking problem. Held in 50 cargo containers at secure sites, a stockpile of more than 1,200 tons of seized tropical hardwood attests to the city’s role as a major conduit for timber smugglers on route to China. And while its storage is causing severe financial implications for the city, its size has only continued to grow, as tropical forests around the world are logged to meet demand from the mainland’s multi-billion dollar luxury furniture industry. So far this year, the Customs Department has intercepted four major shipments of rosewood and one massive load of red sandalwood, a timber so valuable it’s known as “red gold. The sheer amount of confiscated endangered wood — both types are protected under the Convention on International Trade of Endangered Species set Hong Kong apart. The phrase “wood buildings” conjures up images of flammable, unsafe architecture, but M-Fire Suppression Inc. is looking to change that picture. And it wants its fire-resistant wood to be the new face of ecologically friendly building. One of the most common tests of a material’s fire resistance is a spread test, where inspectors measure how long it takes fire to spread across the material as compared to control materials. Class A is the most fire-resistant class, and M-Fire is currently the only company making Class A fire-protected cross-laminated timber. To do that, the company infuses wood with surfactants that allow fire inhibitors to migrate into the pockets of oxygen in the wood. The result is a product much eco-friendlier than most traditional fire inhibition. M-Fire is currently the only Class A fire inhibitor with UL Greenguard Gold certification, which means that it’s safe around children and schools. Melbourne is set to get its first timber commercial office building. The wood engineered structure with an end value of $56 million will join Australia’s first multi-storey timber apartment tower and a landmark wooden public library in the Docklands urban renewal precinct which has become a focal point for sustainable buildings. …About two thirds of the new structure will be made from cross laminated timber, an engineered product made from layers of softwood arranged crosswise and glued together under pressure into large panels. …Mr Moss said both employers and employees were focusing on the sustainability and health impacts of their offices. …Wooden buildings had proven performance in both areas, he said. The new building, called Woodwork. 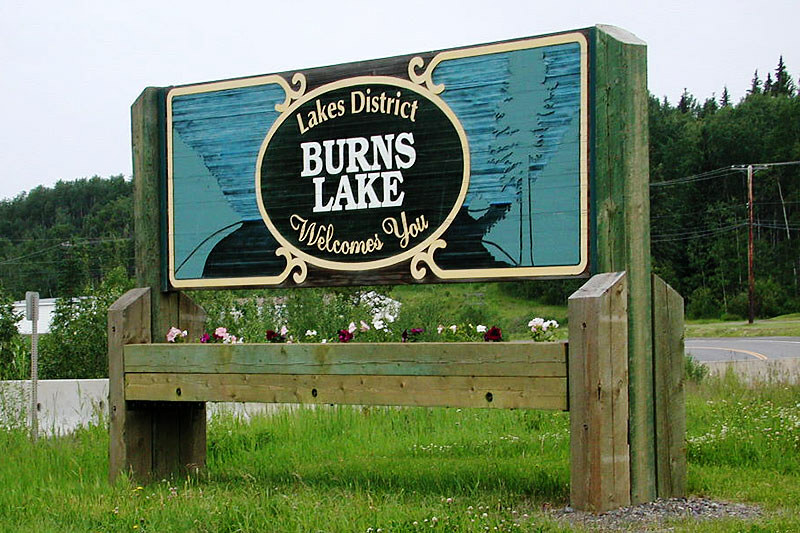 Provincial forest officials have started work on deciding how much wood can be cut in the Lakes Timber Supply Area (TSA), a crucial determination for local mills, other resource users and for the economic base of the Lakes District. The last annual allowable cut (AAC) was set in 2011 at 2 million cubic metres a year but adjusted downward to approximately 1.6 million cubic metres in 2016 when the Lake Babine Nation was granted tenure and the Chinook Community Forest was created. AACs are set approximately every 10 years but can be varied depending upon local conditions and circumstances. Forest officials examine the total forest base, deducting areas and locations for example to safeguard wildlife populations, to account for old growth forests and to protect areas for their visual attributes. VICTORIA – The Forest Practices Board will examine the activities of A&A Trading Ltd. (A&A) and Terminal Forest Products Ltd. (Terminal) on forest licence A19229, in the Sunshine Coast Natural Resource District, during the week of July 9, 2018. Auditors will examine whether harvesting, roads, silviculture, fire protection and associated planning, carried out by A&A and Terminal between July 1, 2016, and July 13, 2018, met the requirements of the Forest and Range Practices Act and the Wildfire Act. The audit area is located near Sechelt and Powell River, in the Sunshine Coast Timber Supply Area (TSA). Forest licence A19229 has an allowable annual cut of 125,966 cubic metres per year, and is located on rugged and remote terrain, accessible only by helicopter and boat. The TSA is home to several species at risk, including the marbled murrelet and the northern goshawk. 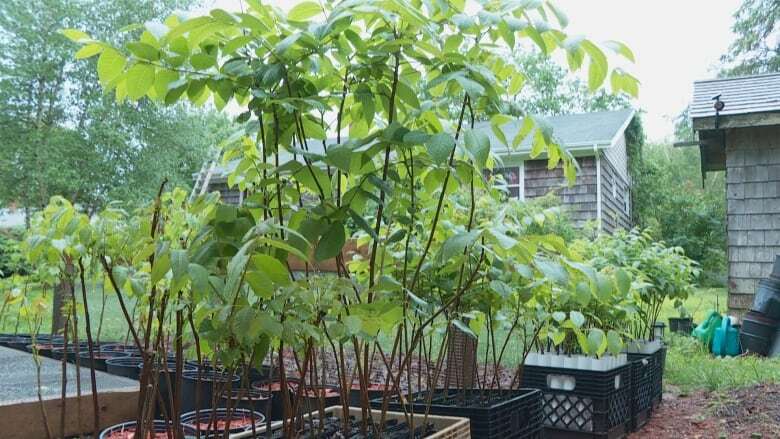 Black walnut trees being grown as cash crop on P.E.I. Some property owners are growing a new kind of crop on P.E.I. — black walnut trees. Jesse Argent owns Havenloft Tree Nursery in Charlottetown, which specializes in growing black walnut trees. His company grows the saplings and sells them to property owners as long-term investments. “The timber value is incredibly high, as well as the crop that can come down from the tree. The nuts themselves are actually highly valuable per the pound as well,” said Argent. …”There’s a huge amount of land that’s just not being used or [is] underutilized on P.E.I. and it’s just a great way to increase land value,” he said. But the investment isn’t without its risks and challenges — Argent said it takes years before growers can harvest the trees for nuts or wood. The trees also produce a toxin known as juglone, that can make it difficult to grow some types of plants nearby. Forestry companies and conservative think tanks have spent years obscuring the truth linking their industry’s actions and the rapid decline of threatened boreal caribou populations across the country. Research published last week in the peer-reviewed journal Wildlife Bulletin Review …suggests Canada’s forest industry has shown “willful ignorance disguised as skepticism” about the noted decline in caribou populations across Canada. “The relationship between increasing levels of disturbance (i.e., habitat loss and fragmentation) and boreal caribou population decline is well-established, with industrial forestry and associated roads shown as a key driver,” the report states. But this study isn’t about linking forestry to caribou habitat destruction. It’s about exploring the ways in which the sector and its friends in conservative think-tanks and media have warped the scientific consensus on caribou decline in the public eye to bolster their bottom line. SWEET HOME — Best way to practice for wildfire season in Oregon: Light a fire and put it out. More than 200 firefighters earned certification last week to fight forest fires, with the last day of training full of flames, smoke and real-world lessons. The firefighters circled and stamped out burning slash piles in a clearing five miles east of Sweet Home, off of Highway 20. The firefighters were all students in the annual Mid-Willamette Valley Interagency Wildland Fire School, the largest of such training sessions leading up to fire season in Oregon. “We’ve just been training at the station and in the classroom the past week. We’ve come out here to do drills, but this is the first time in front of an actual fire with actual flames,” said Sarah Messier, who this summer is on a Western Lane District fire crew with the Oregon Department of Forestry. 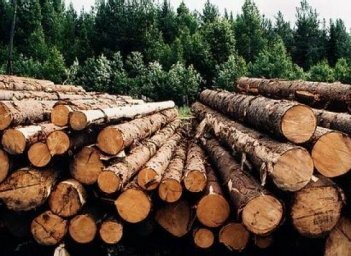 Ukraine’s Verkhovna Rada has limited domestic consumption of raw timber in the amount of 25 million cubic meters per year for the duration of the ban on the export outside the customs territory of Ukraine (export) of unprocessed timber. Some 234 deputies for the bill (No. 5495) on amending some laws of Ukraine concerning the preservation of Ukrainian forests and prevention of illegal export of unprocessed timber in the second reading and in general. According to the amendments to the second reading of the document, the administrative and criminal liability for illegal logging and its further export outside the customs control (smuggling) has been significantly strengthened. BC Wildfire Service crews are battling two new wildfires that sparked on Vancouver Island over the long weekend. 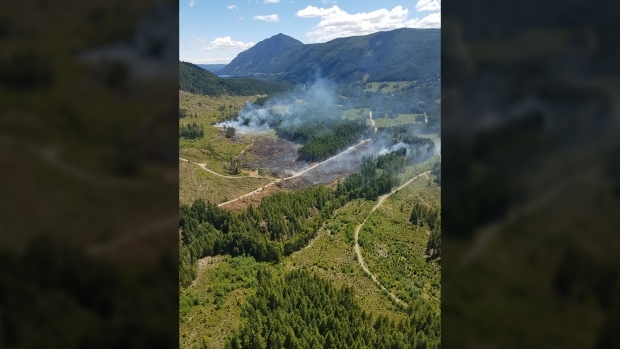 One wildfire that was discovered near Nanaimo Lakes on Canada Day has grown to 10 hectares in size, according to the Coastal Fire Centre. The fire sparked on privately managed forest land in felled and bucked timber, the fire centre said. Approximately 25 firefighters have been deployed as well as two water tankers and one piece of heavy equipment. Industry resources were also assisting in battling the blaze. The fire centre said full containment of the blaze was expected to be achieved by late Tuesday. Meanwhile near Sooke, a four-hectare wildfire is burning at Tugwell Creek. The fire was discovered on Monday and is burning in slash, the fire centre said. DRYDEN, Ont. — The forest fire hazard has dropped across most of northwestern Ontario, but the Ministry of Natural Resources and Forestry is still dealing with 38 active fires in the region. Four new ones were discovered Sunday, including a 15-hectare lightning-caused blaze in the remote Opasquia Provincial Park in the ministry’s Red Lake district. …The region’s largest fire, Red Lake # 38, was upgraded over the weekend to 28,000 hectares in size as it merged with Red Lake fire # 52 on Sunday. …As of Monday afternoon, 35 of the 38 active fires were either under control, being held, or under observation by the MNRF. GUINDA, Calif. — Firefighters battling a Northern California wildfire that threatens nearly 1,000 homes and buildings say cooler weather may help efforts to corral the flames. The temperature was around 90 in the area on Tuesday and the high is expected to drop by about 5 degrees Wednesday. However, state fire officials say the erratic winds and tinder-dry brush and grass fueling the explosive spread of flames can still hamper containment. No homes have burned but some areas have been under evacuation orders for days. The fire is burning in three rural counties northwest of Sacramento and is only 15 percent contained. The County Fire has charred 113 square miles. DENVER — A growing wildfire destroyed more than 100 homes in the Colorado mountains, while other blazes across the parched U.S. West kept hundreds of other homes under evacuation orders Tuesday and derailed holiday plans. Authorities announced late Monday that a fire near Fort Garland, about 205 miles (330 kilometers) southwest of Denver, had destroyed 104 homes in a mountain housing development started by multimillionaire publisher Malcolm Forbes in the 1970s. The damage toll could rise because the burn area is still being surveyed. …The blaze, labeled the Spring Fire, is one of six large wildfires burning in Colorado and is the largest at 123 square miles (318 square kilometers) — about five times the size of New York’s Manhattan. While investigators believe it was started by a spark from a fire pit, other fires, like one that began burning in wilderness near Fairplay, were started by lightning. …Sonoma County’s hillsides are particularly picturesque and expensive. But their history of fire and development is instructive because it is so typical. 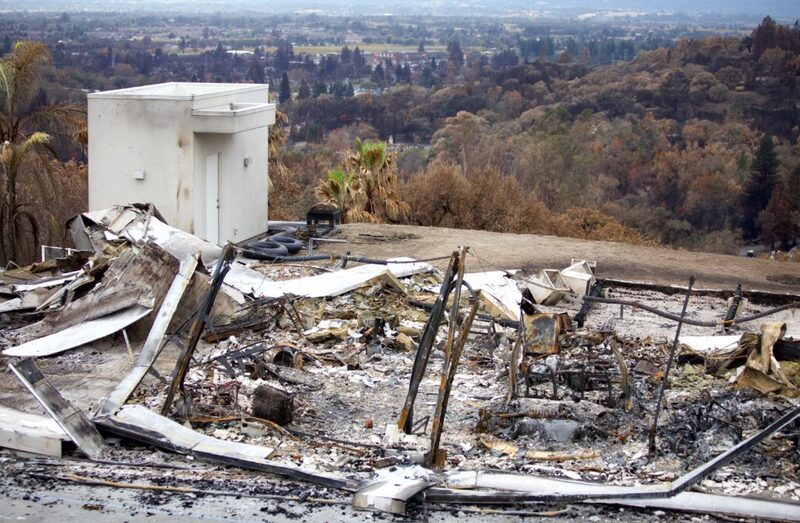 And now, some officials and residents have begun to wonder aloud whether some fire-prone areas are too dangerous to inhabit. The population in Sonoma County’s wildland-urban interface, the high-risk boundary zone between nature and the built environment, increased about 20 percent between 1990 and 2010, according to county records – a rate that an analysis by Reveal from The Center for Investigative Reporting found matches the national median. As of 2012, there were 46 million homes in these areas nationwide. In the half-century-plus between the Hanly and Tubbs fires, people arrived in Sonoma County knowing nothing of the wildfire past. Planners and builders, who did know the risk, trusted it could be managed with fireproof building materials and clearings around homes. But for some, the Tubbs Fire has shaken that faith. SACRAMENTO, Calif. — California lawmakers on Tuesday revived a long-stalled proposal to set a goal of generating 100 percent of the state’s energy from carbon-free sources. With other controversial and high-stakes energy legislation also moving forward, California lawmakers face an array of decisions with vast implications for the Western energy grid, the future of renewable power and consumers’ electric bills. A state legislative committee sent the 100 percent clean energy bill to the full Assembly, setting up a vote later this year. …The bill would bump up California’s energy mandate, known as the renewable portfolio standard, from 50 percent to 60 percent by 2030. …It would then set a goal of getting all remaining energy from resources that don’t produce climate changing gases by 2045, leaving details of the plan to be hashed out later. A third biomass power company has made plans to temporarily wind down operations following a veto by Gov. Chris Sununu of a bill to help prop up the industry, an official confirmed Tuesday. Bridgewater Power Plant in Ashland joins two other plants in the state that have stopped buying wood chips from local suppliers and are planning to burn through their stockpile in the coming weeks, according to Michael O’Leary, the plant’s asset manager. The plant will then switch to “dispatch mode,” standing by with a small reserve of fuel ready to provide power at the request of ISO New England, which runs the area electric grid, according to O’Leary. …The decision to cancel wood purchases was a direct result of Sununu’s veto of Senate Bill 365, according to O’Leary. That bill would have mandated that utilities purchase power from the biomass plants – which have struggled to remain profitable amid a flood of cheap natural gas – at 80 percent of the market rate.